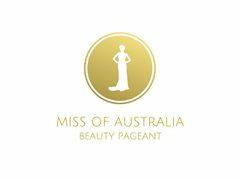 The Miss of Australia is an organization that actively encourages community engagement and charity. We pride ourselves in providing every woman with the opportunity to shine and be a positive role model within their community, Australia and across the world. At the heart of Miss of Australia, are the cornerstone values of sisterhood, friendship, feminism, and empowerment. We are proud to provide a platform for every woman to advocate for those who do not have a voice. It is our mission to be a shining beacon that through hard work, determination and a giving heart, anything is possible. Notes: Miss Finalists are to have never been married & given birth to a child. Ms Finalists is open to all nationalities and marital statuses, with or without children. Dance and Choreography Fees, Light Refreshments and Drinks , National Finalist Information Pack , National Finalist Sashes , National Finalist Contestant Badges , Gift Bag from Priceline Pharmacy, Personalised Satin Robe and the Photography Package. If you want to become the next Miss of Australia, we suggest you apply for our pageant now. We want to make a difference in today's society, and we want you to be involved. Please Note: The competition will take place over three days. All minors must be accompanied by a parent or guardian. All minors must be accompanied by a parent or guardian. PSA: Please ensure you read the entire listing before you apply. Successful contestants are required from Tuesday the 1st of October to Thursday the 3rd of October 2019. Expenses : Bus Transfers (Excursion), Workshop Expenses etc.